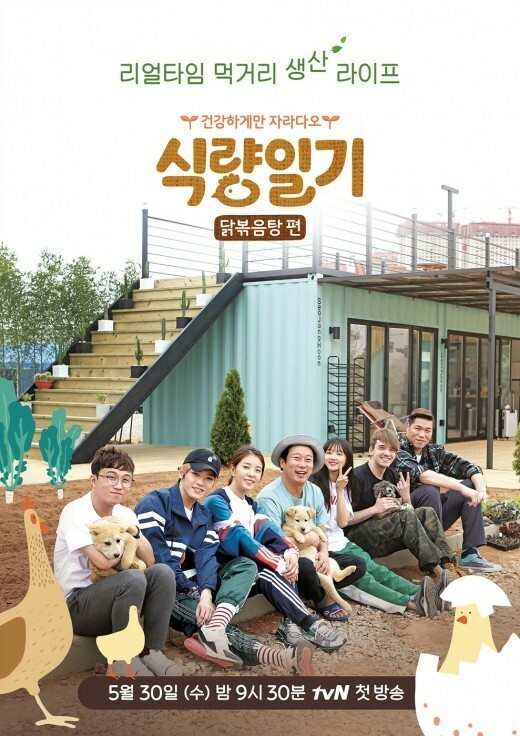 Local animal rights groups issued Friday a joint statement that called for the cancellation of the new variety show “Food Dairy,” saying that the tvN show’s take on chicken breeding distorts the reality of factory farming. In the first episode that aired Wednesday, cast members were given the task of hatching eggs. The bred chickens would later be used to make dakbokkeumtang, a spicy braised chicken dish. But the show has come under fire after it showed cast members putting in efforts to hatch the eggs. In one scene, comedian Lee Soo-geun even recounted the birth of his child, saying that the hatching reminded him of the event. However, animal rights activists in Korea including Coexistence of Animal Rights on Earth argued that “Food Diary” is not realistic. It said that the production staff’s goal cannot be met, as dakbokkeumtang is usually made with chickens raised on factory farms. “The chickens consumed in Korea are raised in overpopulated cages without windows for ventilation and are genetically modified for rapid growth so they can be butchered in a month after birth,” the statement read. “More chicks than cast members were hatched for an unreasonable purpose -- to show the process of being turned into dakbokkeumtang. Three dogs were also used as decorations for the farm,” the statement added. The activists also criticized the show for labeling chickens just as a source of food, not sentient beings. Although scholars on the show debate the issue, cast members played no part in the discussion, as those scenes were shot separately. In addition, the statement argued that the network tvN has been using “animal marketing,” citing the show “Three Meals a Day” as an example. It said that a dog featured in the show was neglected after the show’s ending and the program encouraged overproduction of a certain dog breed. The price of long-haired Chihuahuas jumped twofold after “Three Meals a Day” was aired.